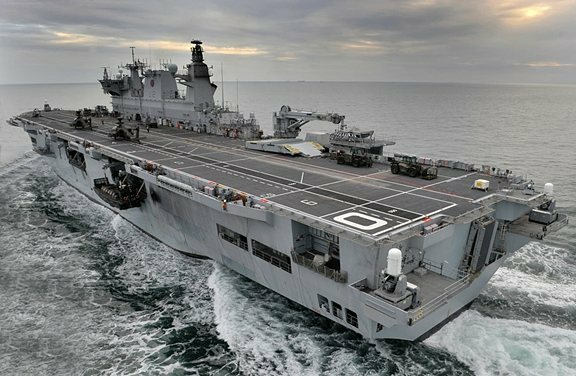 Brazil’s Ministry of Defence on 1 December authorised the navy to begin efforts to purchase the UK Royal Navy’s HMS Ocean landing platform helicopter. The Brazilian Navy requested this authorisation in early 2017 after a decision to retire its São Paulo aircraft carrier, and after the Royal Navy said the HMS Ocean could be available for sale once decommissioned in March 2018. HMS Ocean would be inspected by Brazilian Navy officers before that, while authorisation from the US government is also being requested as the ship has some US-built components. The Brazilian Navy’s plan is to finish the deal in 2018, overhaul the ship in 2019, and have it operational by 2020. Ok. Looks like the Brazilians took a beat, did a bit of housekeeping on the national level and now they're moving ahead with their plan of military modernization. They are becoming quite the regional powerhouse. Other S. American nations will be hard pressed to keep up.